The image sensor, in some eyes, is the most important part of a camera, but it is also the latest and most capable type of the genre – a CMOS image sensor. CMOS is an acronym for complementary metal-oxide semiconductor. What’s important about CMOS is that the same semiconductor fabrication lines that churn out billions of microprocessor and static RAM memory chips can be used to make CMOS sensors, unlike the once more-common CCD (charge coupled device) sensor, which relies on more specialised fabrications. This makes CMOS sensors considerably cheaper to mass produce. It also consumes less power, so battery life is better and there is less heat produced. CCD sensors are actually inherently better in key ways than the CMOS image sensor. They can be made more easily to maximise sensitivity and, therefore, deliver lower noise and higher dynamic range. 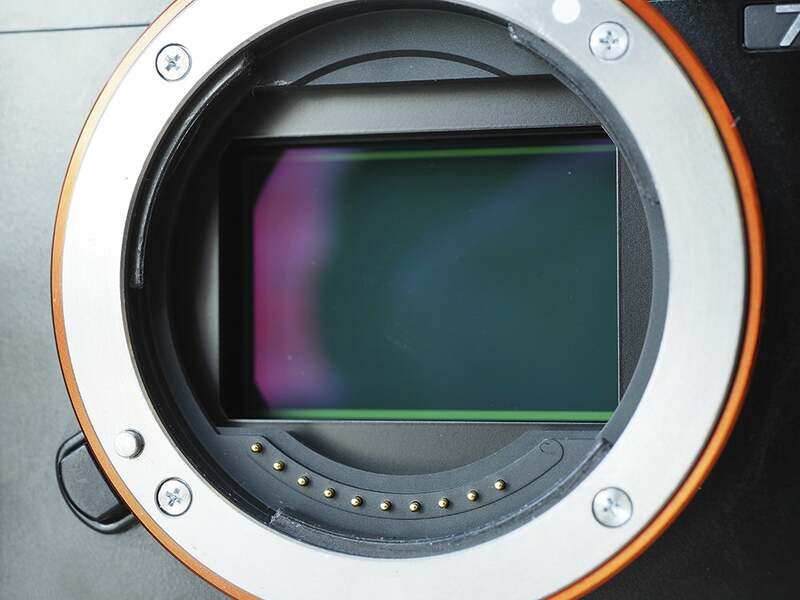 The way the photosite analogue exposure values, measured in microscopic electrical charges, are read means CCDs don’t suffer from the video phenomenon of ‘wobble’ or rolling-shutter effect, which is a problem for CMOS image sensors. However, it has now replaced CCDs in the vast majority of camera-sensor applications in recent years, thanks to the steady evolution of my technology. The reason CMOS is inherently less sensitive and lower in dynamic range than CCD is because the electrical tracks that wire the circuits on the surface of the sensor chip used to take up far too much of the surface area, limiting the total area that was actually light-sensitive. Nowadays, the circuitry has been made smaller and buried in the chip substrate to a degree. So-called back-lit versions of CMOS sensors have maximised sensitivity to such a degree that we now outperform comparable CCD sensors. The rolling-shutter video wobble problem has also been largely fixed by massively increasing the sensor read-out frequency. CMOS is now the sensor of choice and a great example of how the steady evolution of the technology has transformed what was once regarded as the cheap, poor-quality relative of superior CCD technology into not only the cheapest, but the best.